In 2015, diversity has become the buzzword in the comic book industry with companies like DC and Marvel claiming to lead the charge, but merely scratching the surface of the complexity and intersection of race, culture and gender. 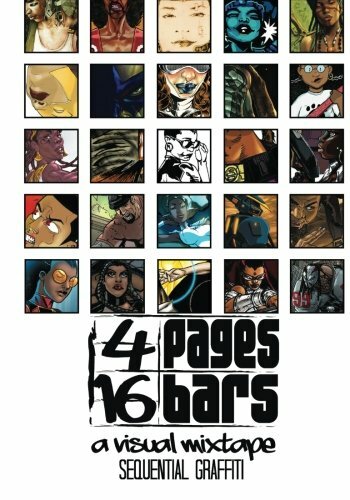 The 4 Pages | 16 Bars: A Visual Mixtape presents Sequential Graffiti is a sampler for potential fans to enjoy our intellectual properties, a showcase for existing and upcoming talent as well as a source guide for those fans to purchase our books. The scene is more diverse than Image or Dark Horse. This is visual Jazz, Rock, Funk, Hip Hop and electronic music. This is art for the people.